There’s been an explosion of interest in the biomedical world around a recently characterized cell-to-cell communication system that most cells use to talk to one another, including stem cells. In fact the first patient has been successfully treated in Germany with exosomes derived from mesenchymal stem cells for refractory graft versus host disease. This newly discovered communication system involves little bubbles called “exosomes” that cells secrete and pass on to their neighbors. This new cell communication system is akin to cells using smartphones (exosomes) to talk to one another instead of old school flip phones (classic secretory proteins). 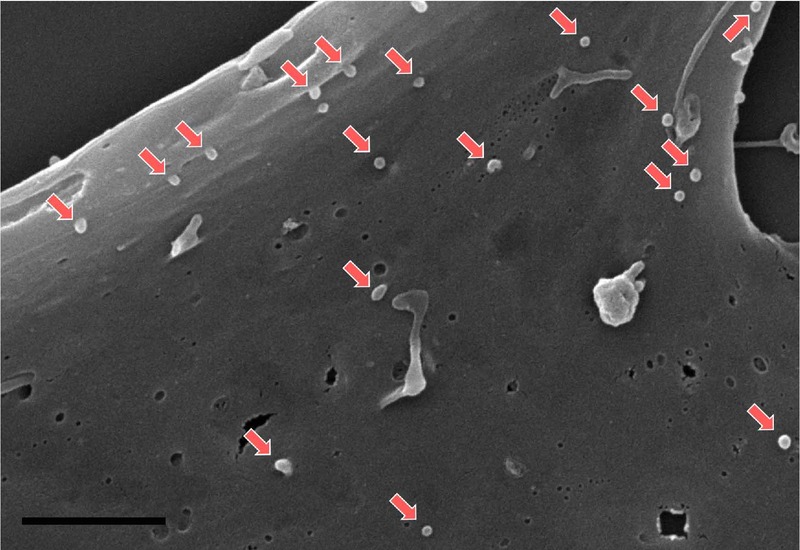 Electron microscopy image of mesenchymal stem cell exosomes highlighted with red arrows from figure from Anderson, et al. These little exosome bubbles that cells secrete are chuck full of a complex mixture of cellular components including proteins, RNAs, lipids and metabolites. We know that many of the adult stem cell-based therapeutics currently making their way through clinical trials use cellular communication as a key driver of their therapeutic benefit. However, it’s only been in the last few years that scientists have started to appreciate the robust role stem cell exosomes are playing in these therapies. Indeed, numerous studies have demonstrated that injecting exosomes derived from adult stem cells into animal models of disease recapitulates many of the same therapeutic benefits as injecting the cells themselves. Studies have also demonstrated that these exosomes can be packaged with novel therapeutics that would otherwise be infeasible to effectively deliver in the clinic. To date, many researchers have focused on the miRNA content of exosomes as a means to explain their apparent therapeutic effect. miRNAs are small RNAs within cells that help regulate the extent to which certain genes are turned on or off. However, recently scientists have been growing increasingly interested in all of the other complex factors packaged into stem cell exosomes, such as signaling proteins, lipids and metabolites. Our group recently published a very robust proteomic profiling of mesenchymal stem cells and their exosomes, but there is still much work to be done to fundamentally understand the therapeutic role that this new communication system might be playing. In particular there is a surprising lack of studies on the lipid and metabolite composition of exosomes derived from stem cells, and the role they may be playing in these therapies. Only time will tell if the excitement surrounding these little cellular bubbles is warranted, but many scientists are excited to see how the next chapter unfolds. 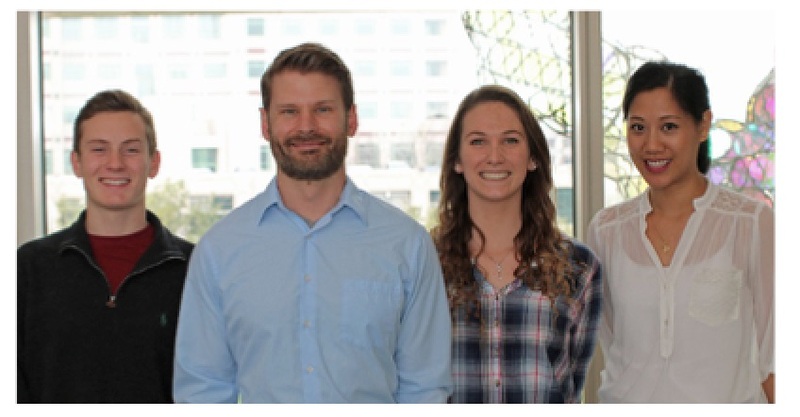 Dr. Anderson is Exosome Team Leader in the Nolta Lab at the UC Davis Institute for Regenerative Cures.